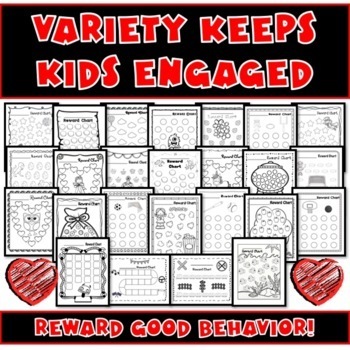 Reward charts emphasize positive behavior that is noted one progress point at a time and eventually leads to mastery of an activity and prize for the behavior. This ADVENTURES set has five motivating sheets created to encourage positive behavior, master a goal, and receive encouraging recognition. 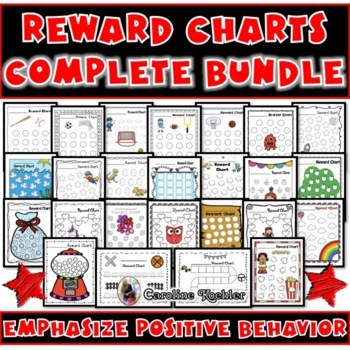 Reward charts emphasize positive behavior that is noted one progress point at a time and eventually leads to mastery of an activity and prize for the behavior. 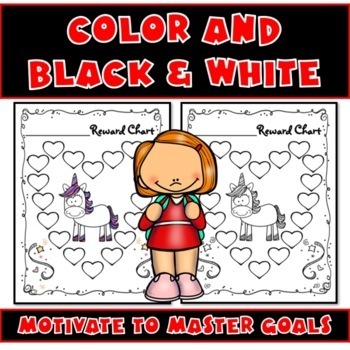 This BUNDLE has 25 motivating sheets created to encourage positive behavior, master a goal, and receive encouraging recognition. These are useful within the school classroom and at home. 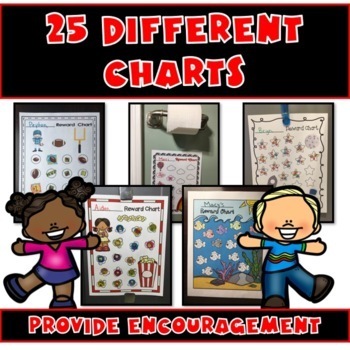 Use the charts for anything a child needs motivation to do: school work, potty training, teeth brushing, chore completion, and many other areas. To fill in the charts use stickers, coloring materials, stamps, or write your signature within each spot.